Dr. Mumma, a native of Allentown, PA, completed his training from Duke University Medical School in 1983. He completed his internship, residency and cardiology fellowship at North Carolina Baptist Hospital in Winston-Salem, NC. Dr. Mumma was a former section chief in cardiology at Sarasota Memorial Hospital. Dr. Mumma is board certified in cardiovascular disease and interventional cardiology, and is IBHRE certified in pacemaker implantation. In addition to interventional cardiology and pacemaker procedures, Dr. Muma also performs newer structural heart procedures such as TAVR and MitraClip. James J. Fox, M.D., F.A.C.C. Dr. Fox, a native of New York, NY, is one of only a handful of physicians who hold a medical as well as a law degree. He completed his internship, residency and cardiology fellowship at UMDNJ in Hackensack, NJ. Dr. Fox is board certified in cardiovascular disease and interventional cardiology. Dr. Fox is also licensed in nuclear medicine in the State of Florida. 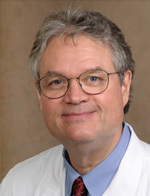 Dr. Fox was the former Medical Director of the Cardiac Catheterization Laboratory at Sarasota Memorial Hospital (SMH) from 1999-2005, and is currently chairman of the Department of Cardiology at SMH for the third time in his career. He was voted physician of the year at Sarasota Memorial Hospital in 2012. Daniel S. Pacifico, M.D., F.A.C.C. 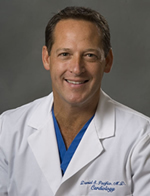 Dr. Pacifico, a native of Verona New Jersey, completed his training from Thomas Jefferson Medical College in 1990. He completed his internship, residency and cardiology fellowship at Georgetown University in Washington, D.C.
Dr. Pacifico is board certified in cardiovascular disease and interventional cardiology. 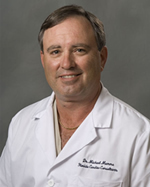 Dr. Pacifico is a former section chief in cardiology at Sarasota Memorial Hospital. A University of Notre Dame alumnus, Dr. Pacifico is still a big supporter of the Fighting Irish.